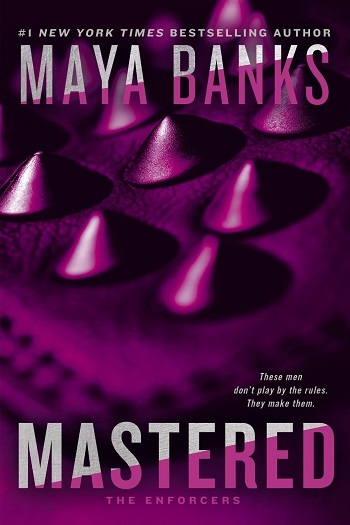 This is the third book in the series, and I liked this one much better. You get to see Silas and how his past shaped who he is today. But you also get to see him change for the better with the help of Haley. Haley is struggling after her father passed away and the insurance company refused to pay out on the policy. She is amazingly talented with a violin and despite working herself in order to make ends meet, she always finds time for her music. When she has to look for a new place to live, she isn't too hopeful. Silas, for all of his faults, is so loyal to Drake that he sometimes can't see his own life without his position with Drake. When he sees Haley, he's instantly drawn to her. She's pure and innocent, goodness to his darkness. When he realizes that he can help her, he jumps at the chance. Haley and Silas' romance is whirlwind. But dotted with issues and dominance, Haley knows her own mind and wants to show Silas that he is more than he believes. Silas was so upset with Drake during books one and two when Drake was unable to see how amazing Evangeline was, and in this book, yep, you guessed it... Silas has the same issue. I was slightly miffed that a lot of the conflict between Silas and Haley was directly related to Drake and it wasn't ever really discussed. Overall, this was a sweet story about acceptance, love, fighting for what you want, and ultimately, finding a family. I wish that Maddox at least had gotten his own story and was disappointed that this was the last one. 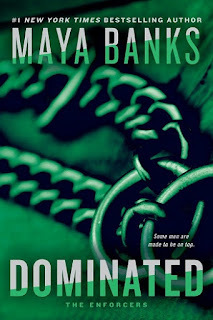 For reviews & more info, check out our Dominated post. Avid Reader reviewed her personal copy of Kept (The Enforcers #3) by Maya Banks for this post.